[S1377] Baptism Registers Indexed transcript, Kedington, Suffolk, Baptisms 1563-1812 "1808 Mar 20 PASKE John, son of John and Susan (BULLING) born 21st December 1807." [S421] Transcript of the Baptism Registers of Kedington, Suffolk, compiled by Edwin Prockter. "09.04.1808 Rebecca to Henry & Frances PASKE, late WALLAKER." 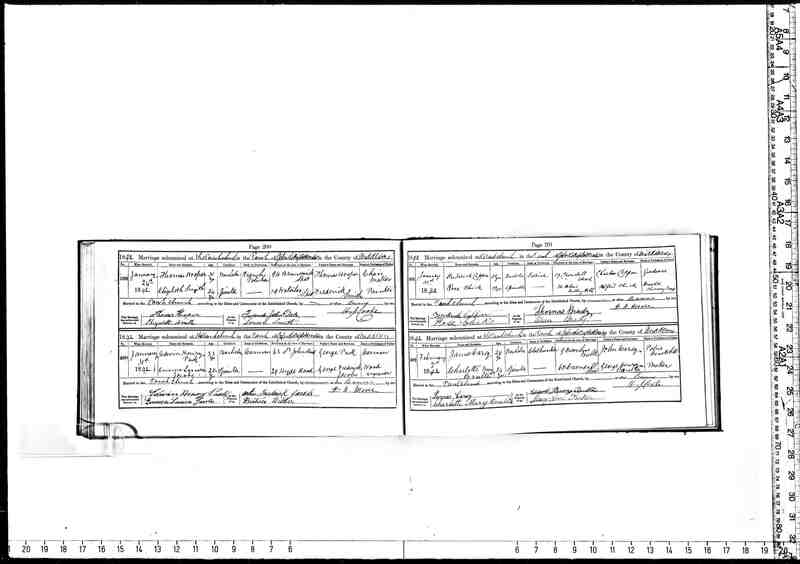 [S1377] Baptism Registers Indexed transcript, Kedington, Suffolk, Baptisms 1563-1812 "1808 Apr 3 PASKE Rebecca, daughter of Henry and Frances (WALLAKER), born 11th March." [S423] Transcript of the Burial Registers of Kedington, Suffolk, compiled by Edwin Prockter. "26.06.1808 Rebecca dau Henry PASK, infant." [S421] Transcript of the Baptism Registers of Kedington, Suffolk, compiled by Edwin Prockter. "23.02.1823 Charles to George (Labourer) & Elizabeth PASK." [S423] Transcript of the Burial Registers of Kedington, Suffolk, compiled by Edwin Prockter. "03.05.1829 Charles PASK, age 6." [S421] Transcript of the Baptism Registers of Kedington, Suffolk, compiled by Edwin Prockter. "02.03.1823 Phoebe to Henry & Mary PASK." [S3] GRO Indexes to Marriages. "1844/Q2 PASK, Sophia Risbridge 12 591." [S421] Transcript of the Baptism Registers of Kedington, Suffolk, compiled by Edwin Prockter. "11.05.1823 Sophy to John & Mille PASK." [S3] GRO Indexes to Marriages. "1844/Q2 FRENCH, George Risbridge 12 591." [S4064] Transcript of the marriage of George French and Sophia Pask, 27 May 1844. Kindly provided by Sandra Stevens - GOONS Marriage Challenge. [S4065] Image of the 1851 for Dane Street, Dane Common, Suffolk: HO107 Piece 1787 Folio 178 Page 18. [S3] GRO Indexes to Marriages. "1857/Q1 FRENCH, Sophia = BROWN, George Risbridge 4a 457." [S4067] Image of the 1861 Census for Mill Lane, Kedington, Suffolk: RG9 Piece 1124 Folio 127 Page 7. [S4068] Image of the 1871 Census for Dane Common, Kedington, Suffolk: RG10 Piece 1711 Folio 80 Page 2. [S4066] 1881 Census for Common House, Kedington, Suffolk (online image). [S526] Image of the 1891 Census for Kedington, Suffolk: RG12 Piece 1436 Folio 47 Page 5. [S4] GRO Indexes to Deaths. "1893/Q2 BROWN, Sophia Risbridge 4a 351 aged 70." [S4] GRO Indexes to Deaths. 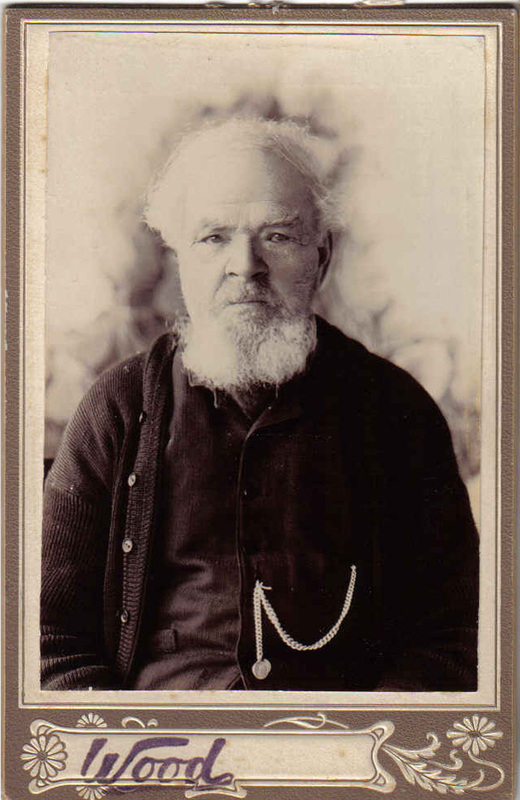 "1905/Q1 BROWN, George Risbridge 4a 493 aged 80." [S421] Transcript of the Baptism Registers of Kedington, Suffolk, compiled by Edwin Prockter. "25.07.1824 George to John & Elizabeth PASK." [S763] Image of the 1871 Census for St. Pancras London: RG10 Piece 226 Folio 81 Page 43. Indexed incorrectly under the name of PASH. [S3] GRO Indexes to Marriages. "1854/Q4 PASK, George Stepney 1c 927." [S3] GRO Indexes to Marriages. "1854/Q4 BETTONEY, Mary Ann Stepney 1c 927." [S5010] Website London (LMA) Births & Baptisms 1813-1906 Maria Jane Pask Record Type: Baptism Date: 30 Mar 1856 Father's Name: George Pask Mother's Name: Mary Ann Pask Parish: Saint Pancras Parish Church Borough: Camden County: Middlesex. [S5010] Website London (LMA) Births & Baptisms 1813-1906 Sarah Emily Pask Record Type: Baptism Date: 18 Mar 1860 Father's Name: George Pask Mother's Name: Mary Ann Pask Parish: All Saints, Paddington Borough: Westminster County: Middlesex. [S1502] Image of the 1861 Census for Marylebone, London: RG9 Piece 0080 Folio 95 Page 41. [S1503] Image of the 1861 Census for Marylebone, London: RG9 Piece 0080 Folio 95 Page 42. [S5010] Website London (LMA) Births & Baptisms 1813-1906 Frederick John Pask Record Type: Baptism Date: 23 Feb 1862 Father's Name: George Pask Mother's Name: Mary Ann Pask Parish: Saint Marylebone Borough: Westminster County: Middlesex. [S5010] Website London (LMA) Births & Baptisms 1813-1906 Walter Pask Record Type: Baptism Date: 15 Nov 1863 Father's Name: George Pask Mother's Name: Mary Ann Pask Parish: All Saints, Paddington Borough: Westminster County: Middlesex. [S5010] Website London (LMA) Births & Baptisms 1813-1906 Edwin Henry Pask Record Type: Baptism Date: 14 Jun 1868 Father's Name: George Pask Mother's Name: Mary Ann Pask Parish: Christ Church, Somers Town Borough: Camden County: Middlesex. [S3592] E-mail from Marion Hopkins to Stuart & Teresa Pask dated 18 March 2008 (Lambeth Marriage Challenge). [S5010] Website London (LMA) Births & Baptisms 1813-1906 Frank William Pask Record Type: Baptism Date: 8 Nov 1874 Father's Name: George Pask Mother's Name: Mary Ann Pask Parish: Saint James The Great, Bethnal Green Borough: Tower Hamlets County: Middlesex. [S4] GRO Indexes to Deaths. "1876/Q3 PASK, Mary Ann Shoreditch 1c 53 age 46." [S1087] Website The Times Digital Archive 1785-2008 (http://web1.infotrac.galegroup.com: ) The Times Monday, Dec 10, 1877; pg. 12; Issue 29121; col A. [S3653] Copy of the marriage certificate of George Paske and Mary Riorden, 30 March 1880. Obtained from www.ancestry.co.uk. [S764] Transcript of the 1881 Census for London, Middlesex: RG11 Piece 382 Folio 31 Page 10. [S3] GRO Indexes to Marriages. "1880/Q1 PASKE, George Bethnal Green 1c 569." [S3] GRO Indexes to Marriages. "1880/Q1 RIORDEN, Mary Bethnal Green 1c 569." [S4] GRO Indexes to Deaths. 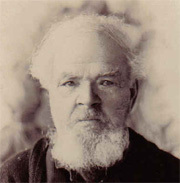 "1898/Q2 PASK, George Pancras 1b 64 age 73." [S5012] Website London (LMA) Deaths & Burials 1813-1980 George Pask Record Type: Death Event Date: 22 May 1898 Death Date: 22 May 1898 Poor Law Union: Saint Pancras Borough: Camden County: London. [S3641] Copy of the marriage certificate of Edwin Henry Pask and Emma Louisa Jacobs, 31 January 1892. Obtained from www.ancestry.co.uk. [S3597] Copy of the marriage certificate of Frank Pask and Elizabeth Gray, 5 August 1901. Obtained from www.ancestry.co.uk. [S421] Transcript of the Baptism Registers of Kedington, Suffolk, compiled by Edwin Prockter. "21.11.1824 Rebecca to Henry (Labourer) & Mary PASK." [S1451] Image of the 1841 Census for Kedington, Suffolk: HO107 Piece 1033 Book 16 Folio 11-12 from Archive CD Books. [S1447] Image of the 1851 for Kedington, Suffolk: HO107 Piece 1787 Folio 182 Page 27. Indexed incorrectly under the name of PARKS. [S4] GRO Indexes to Deaths. "1859/Q3 PASKE, Rebecca Risbridge 4a 261." [S423] Transcript of the Burial Registers of Kedington, Suffolk, compiled by Edwin Prockter. "31.07.1859 Rebecca PASK, age 34." [S421] Transcript of the Baptism Registers of Kedington, Suffolk, compiled by Edwin Prockter. "08.05.1825 Emma to John & Mille PASK." [S4071] Image of the 1861 Census for Kedington, Suffolk: RG9 Piece 1124 Folio 134 Page 22. [S4070] Transcript of the marriage of Frederick Walliker and Emma Paske, 13 May 1844. Kindly provided by Sandra Stevens - GOONS Marriage Challenge. [S1452] Image of the 1841 Census for Kedington, Suffolk: HO107 Piece 1033 Book 16 Folio 15-16 from Archive CD Books. [S3] GRO Indexes to Marriages. "1844/Q2 WALLIKER, Frederick Risbridge 12 589." [S4073] Image of the 1881 Census for Kedington, Suffolk: RG11 Piece 1822 Folio 55 Page 27. [S4074] Image of the 1891 Census for Railway Terrace, Town Road, Kedington, Suffolk: RG12 Piece 1436 Folio 46 Page 3. [S1675] Image of the 1901 Census for Kedington, Suffolk: RG13 Piece 1737 Folio 51 Page 2. [S4] GRO Indexes to Deaths. "1909/Q1 WALLIKER, Frederick Risbridge 4a 542 aged 86." 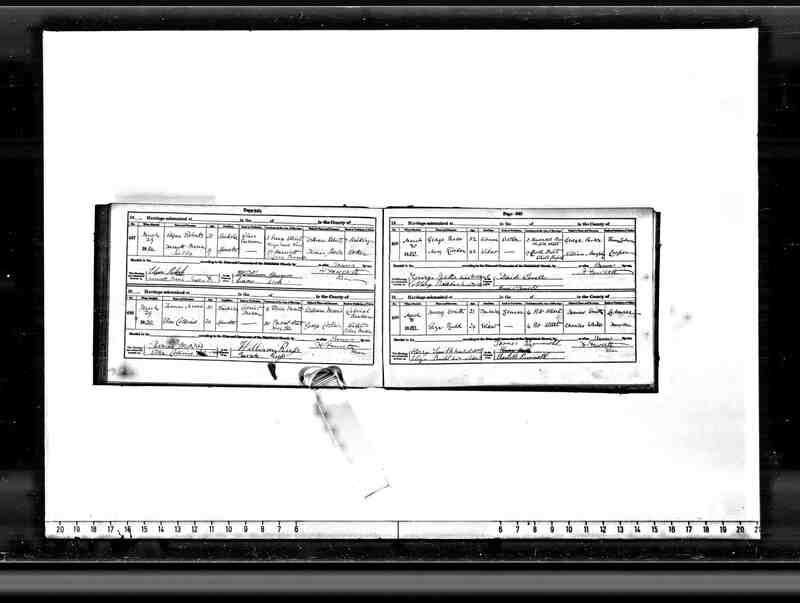 [S4075] Image of the 1911 Census for Risbridge Union Workhouse, Kedington, Suffolk: RG14 Piece 10508 Schedule 9999. [S4] GRO Indexes to Deaths. "1914/Q2 WALLIKER, Emma Risbridge 4a 862 aged 87." John PASK ( 1825-1910) Written on the back of the photograph is "Uncle John Pask Ulla-Dulla, Sydney, NSW - died about 1910"
In the census of 30 March 1851 in Kedington, Suffolk, he was listed as an Agricultural Labourer aged 25 born in Kedington, the son of George PASK.5 John immigrated on the Victory, to Ulladulla, New South Wales, Australia.6,7 John was in an undated photograph. Additional photographs are available relating to John - an Old 'aboriginal lady' inscribed on back with "Aunt Maria (Uncle John) about 1908 Ulla Dulla Sydney". Also a lady wearing a scarf inscribed with "Mrs Condon (Uncle John's Landlady or Housekeeper) Ulla Dulla Sydney"; Written on the back of the photograph is "Uncle John Pask Ulla-Dulla, Sydney, NSW - died about 1910.8,9"
[S421] Transcript of the Baptism Registers of Kedington, Suffolk, compiled by Edwin Prockter. "17.07.1825 John to George (Labourer) & Elizabeth PASK." [S542] E-mail from Colleen Willis to Stuart & Teresa Pask dated 8 February 2007. [S1280] E-mail from Tracy Bentley to Stuart & Teresa Pask dated 5 June 2005. [S542] E-mail from Colleen Willis to Stuart & Teresa Pask dated 8 February 2007: "N.S.W. State records film 2137/2472." [S1280] E-mail from Tracy Bentley to Stuart & Teresa Pask dated 24 July 2005. [S1525] Scanned photograph of John Pask. Kindly provided by Tracy Bentley. [S542] E-mail from Colleen Willis to Stuart & Teresa Pask dated 8 February 2007: "ref, 2880/1913 N.S.W. bdm Milton." [S1962] E-mail from Diane Millward to Stuart & Teresa Pask dated 26 September 2012. [S421] Transcript of the Baptism Registers of Kedington, Suffolk, compiled by Edwin Prockter. "05.04.1826 Clara to Elijah & Susan HECKFORD Weaver." [S421] Transcript of the Baptism Registers of Kedington, Suffolk, compiled by Edwin Prockter. "26.09.1830 Emily to George & Elizabeth PASKE." [S3] GRO Indexes to Marriages. "1853/Q2 PASK, Emily Hackney 1b 441." [S1350] Image of the 1861 Census for St. Mary, Newington, London: RG9 Piece 0342 Folio 102 Page 8. [S1351] Image of the 1871 Census for St. Mary, Newington, London: RG10 Piece 0617 Folio 72 Page 5. [S2698] Image of the 1871 Census for 38 Alvey Street, St. Mary, Newington, London: RG10 Piece 0617 Folio 71 Page 3. [S1352] Image of the 1881 Census for St. Mary's, Newington, London: RG11 Piece 0544 Folio 12 Page 17. [S1280] E-mail from Tracy Bentley to Stuart & Teresa Pask dated 12 July 2005. [S416] Website Ancestry Civil Registration - Deaths: 1883/Q3 BENTLEY, John Holborn 1b 445 age 55. [S1353] Image of the 1891 Census for Rotherhithe London: RG12 Piece 0385 Folio 112 Page 6. Indexed incorrectly under the name of BENSLEY. [S1354] Image of the 1901 Census for Camberwell, London: RG13 Piece 0522 Folio 62 Page 12. [S3654] Image of the 1911 Census for 50 Railway Grove, Deptford, London: RG14 Piece 2633 Schedule 51. [S4] GRO Indexes to Deaths. "1923/Q1 BENTLEY, Emily Sevenoaks 2a 926 age 92." [S1526] Digital photograph of a page from the diary of Walter Bentley. Kindly provided by Tracy Bentley. [S1280] E-mail from Tracy Bentley to Stuart & Teresa Pask dated 26 July 2005. 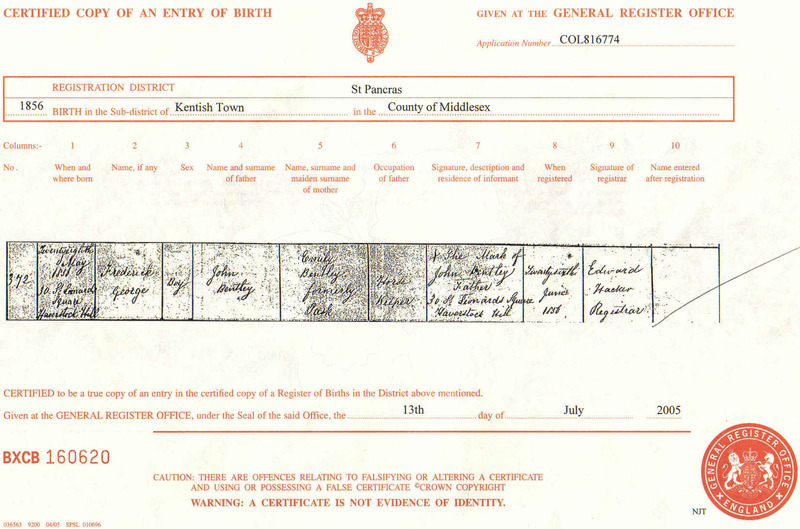 [S1427] Copy of the birth certificate of Frederick George Bentley, born 28 May 1856. Kindly provided by Tracy Bentley. [S6] Teresa & Stuart Pask's Guesses, Theories and Speculations: Based on the possibility of a spelling mistake. [S421] Transcript of the Baptism Registers of Kedington, Suffolk, compiled by Edwin Prockter. "08.04.1832 Isiac to Henry & Mary PASKE Labourer." [S1753] E-mail from Paul Hickford to Stuart & Teresa Pask dated 17 December 2005. [S27] Website National Burial Index (NBI) @ FindMyPast (www.findmypast.co.uk: ) 12 May 1886 Matilda HICKFORD 70 Suffolk Kedington, St Peter & St Paul. [S421] Transcript of the Baptism Registers of Kedington, Suffolk, compiled by Edwin Prockter. "14.12.1834 Henry to David & Matilda HECKFORD - Weaver." [S421] Transcript of the Baptism Registers of Kedington, Suffolk, compiled by Edwin Prockter. "19.06.1836 Joseph to David & Matilda HECKFORD - Labourer." [S421] Transcript of the Baptism Registers of Kedington, Suffolk, compiled by Edwin Prockter. "04.02.1838 Joseph to David & Matilda HECKFORD - Weaver." [S421] Transcript of the Baptism Registers of Kedington, Suffolk, compiled by Edwin Prockter. "03.06.1840 Emma to David & Matilda HECKFORD - Labourer." [S421] Transcript of the Baptism Registers of Kedington, Suffolk, compiled by Edwin Prockter. "19.06.1842 Henry to David & Matilda HECKFORD - Labourer." [S421] Transcript of the Baptism Registers of Kedington, Suffolk, compiled by Edwin Prockter. "25.08.1844 Rebecca to David & Matilda HECKFORD - Labourer." [S421] Transcript of the Baptism Registers of Kedington, Suffolk, compiled by Edwin Prockter. "08.07.1849 David to David & Matilda HECKFORD - Labourer." [S421] Transcript of the Baptism Registers of Kedington, Suffolk, compiled by Edwin Prockter. "12.04.1835 John to Henry & Mary PASKE - Labourer." [S4] GRO Indexes to Deaths. "1849/Q4 PASK, John Risbridge 12 293." [S423] Transcript of the Burial Registers of Kedington, Suffolk, compiled by Edwin Prockter. "13.10.1849 John PASK, age 14." [S421] Transcript of the Baptism Registers of Kedington, Suffolk, compiled by Edwin Prockter. "06.12.1835 Harriet to Elijah & Susan HECKFORD - Labourer." [S423] Transcript of the Burial Registers of Kedington, Suffolk, compiled by Edwin Prockter. "18.05.1857 Frances PASK, age 19." [S2] GRO Indexes to Births. "GRO Online Index: 1837/Q3 PASK, Fanny MISON Risbridge 12 280." [S421] Transcript of the Baptism Registers of Kedington, Suffolk, compiled by Edwin Prockter. "10.09.1837 Francis to Henry & Mary PASKE - Labourer." [S4] GRO Indexes to Deaths. "1857/Q2 PASKE, Francis Risbridge 4a 229." [S421] Transcript of the Baptism Registers of Kedington, Suffolk, compiled by Edwin Prockter. "29.09.1839 Charles to George & Elizabeth PASKE." [S2] GRO Indexes to Births. "GRO Online Index: 1839/Q2 PASK, Charles ONGUE Risbridge 12 392." [S516] Image of the 1901 Census for Deptford, London: RG13 Piece 525 Folio 90 Page 24. Indexed incorrectly under the name of PECK. [S5011] Website London (LMA) Marriages & Banns 1754-1921 Charles Pask Age: 45 Estimated Birth Year: abt 1840 Spouse Name: Matilda Ling Spouse Age: 30 Record Type: Marriage Event Date: 24 Nov 1885 Parish: Saint Mary Magdalene County: Middlesex Borough: Southwark Father Name: George Pask Spouse Father Name: Henry Ling. [S648] Image of the 1861 Census for Kedington, Suffolk: RG9 Piece 1124 Folio 126 Page 5 from Archive CD Books. [S3] GRO Indexes to Marriages. "1863/Q4 PASKE, David Risbridge 4a 767." [S3] GRO Indexes to Marriages. "1863/Q4 PASKE, Charles Risbridge 4a 767." [S3] GRO Indexes to Marriages. "1863/Q4 SURRIDGE, Harriet Risbridge 4a 767." [S4339] Transcript of the marriage of Charles Paske and Harriett Surridge, 25 December 1863. Kindly provided by Sandra Stevens - GOONS Marriage Challenge. [S4] GRO Indexes to Deaths. "1884/Q4 PASK, Harriet Greenwich 1d 559 age 44." [S3] GRO Indexes to Marriages. "1885/Q4 PARK, Charles St. Saviour 1d 223." [S3540] Copy of the marriage certificate of Charles Pask and Matilda Ling, 24 November 1885. Obtained from www.ancestry.co.uk. "Charles Pask Age: 45 Estimated Birth Year: abt 1840 Spouse Name: Matilda Ling Spouse Age: 30 Record Type: Marriage Event Date: 24 Nov 1885 Parish: Saint Mary Magdalene County: Middlesex Borough: Southwark Father Name: George Pask Spouse Father Name: Henry Ling." [S136] Letter from Edwin Prockter to Stuart Pask dated 15 April 2004: "Churchyard Inscriptions on Microfilm - 19. Matilda PASK died 26.10.1919, aged 63, and Charles her husband, died 4.4.1927, aged 87." [S4] GRO Indexes to Deaths. "1919/Q4 PASK, Matilda Risbridge 4a 868 age 63." Research Note: Paul wrote: "My gt grandfather Henry and Emma arrived in New Zealand in November 1874 and were the first Hickfords to settle here. Henry's brother, Abner and his family followed several years later. All lived in the small rural township of Rongotea - if you look at a map of NZ it is about 7 miles due west of Palmerston North.2 "
[S421] Transcript of the Baptism Registers of Kedington, Suffolk, compiled by Edwin Prockter. "20.11.1642 Thomas to George & Elizabeth PASKE." [S421] Transcript of the Baptism Registers of Kedington, Suffolk, compiled by Edwin Prockter. "20.11.1842 Thomas to George & Elizabeth PASKE." [S1981] Image of the 1871 Census for Kedington, Suffolk: RG10 Piece 1711 Folio 81 Page 3. [S3] GRO Indexes to Marriages. "1877/Q4 PASK, Thomas Lambeth 1d 644." [S417] Website Ancestry Civil Registration - Marriages: "1877/Q4 PASK, Thomas Lambeth 1d 644 = Harriet DOE (Thomas is indexed incorrectly under Lambeth 1d 614)." [S2875] Transcript of the marriage of Thomas Pask and Harriet Doe, 1 November 1877. Kindly provided by Marion Harper Hopkins - GOONS Marriage Challenge. [S1980] Transcript of the 1881 Census for 26 Charlotte Street, Camberwell, London: RG11 Piece 0700 Folio 97 Page 55. Indexed incorrectly under the name of PACK. [S1979] Image of the 1891 Census for 26 Charlotte Street, Camberwell, London: RG12 Piece 0493 Folio 102 Page 51. Indexed incorrectly under the name of VASH. [S4] GRO Indexes to Deaths. "1898/Q1 PASK, Harriet Camberwell 1d 564 age 66." [S654] Image of the 1901 Census for 26 Charlotte Street, Camberwell, London: RG13 Piece 0521 Folio 55 Page 49. [S1978] Transcript of the marriage of Thomas Pask and Mary Stephenson, 26 March 1899. Kindly provided by Marion Harper Hopkins & Peter Copsey - GOONS Marriage Challenge. [S4] GRO Indexes to Deaths. "1920/Q1 PASK, Thomas Risbridge 4a 1055 age 77." [S1988] Copy of the marriage certificate of George Charles Pask and Frances Stephenson, 4 September 1899. Kindly provided by John H. Pask. [S2] GRO Indexes to Births. "1843/Q1 PASK, Emily Risbridge 12 427." [S4] GRO Indexes to Deaths. "1874/Q1 PASK, Emily Risbridge 4a 296 age 32." [S423] Transcript of the Burial Registers of Kedington, Suffolk, compiled by Edwin Prockter. "02.02.1874 Emily PASK, age 32."